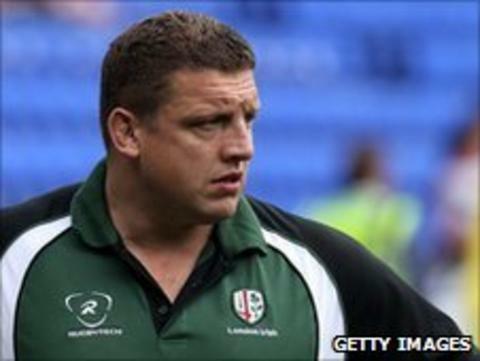 London Irish head coach Toby Booth insists there is no need to panic despite losing 15 players this summer. Steffon Armitage, Seilala Mapusua and Elvis Seveali'i are amongst those who have left the club. "We're not going to panic, we've good quality players coming in," Booth told BBC Berkshire. "Kieran Low looks exceptionally good and Jamie Gibson can do what Steffon did. It's not about replacing like for like, you just have to adjust." Exiles start their new Premiership season against Harlequins on 3 September and Booth admits he would like to sign a couple more players before the campaign gets underway. "We need a couple more people to come in of good quality," he said. "I want at least one more international player and we probably need another ball carrier or back rower. "Sometimes you have to make adjustments, if you want to create a balance in your squad to sustain an output, so hopefully whatever we've lost in attack we gain defensively."